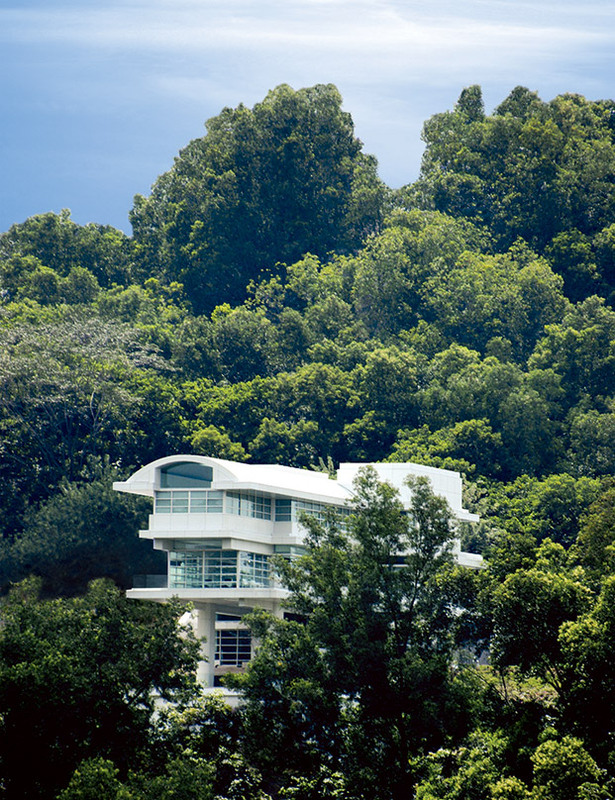 This contemporary residence nestles into a hilltop offering dramatic views of downtown Kuala Lumpur. 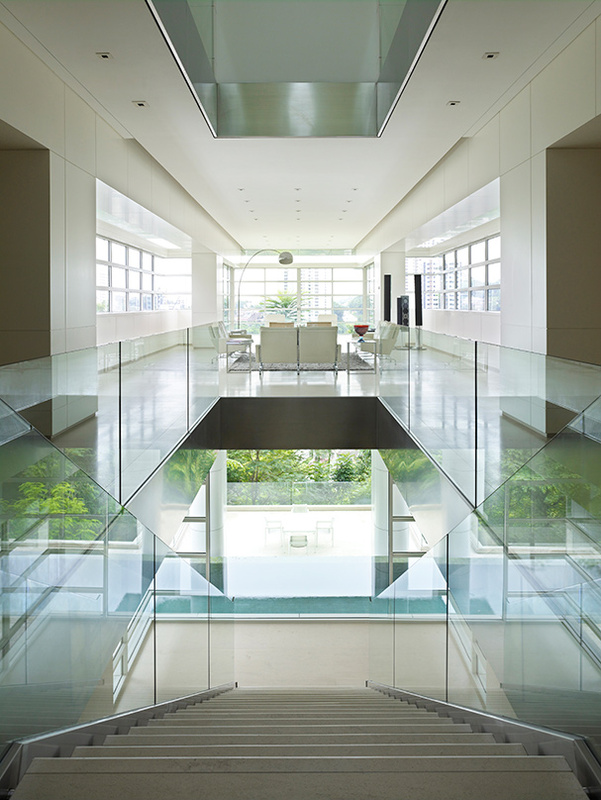 Living spaces gracefully cantilever from the face of the hill to provide panoramic views from every room. 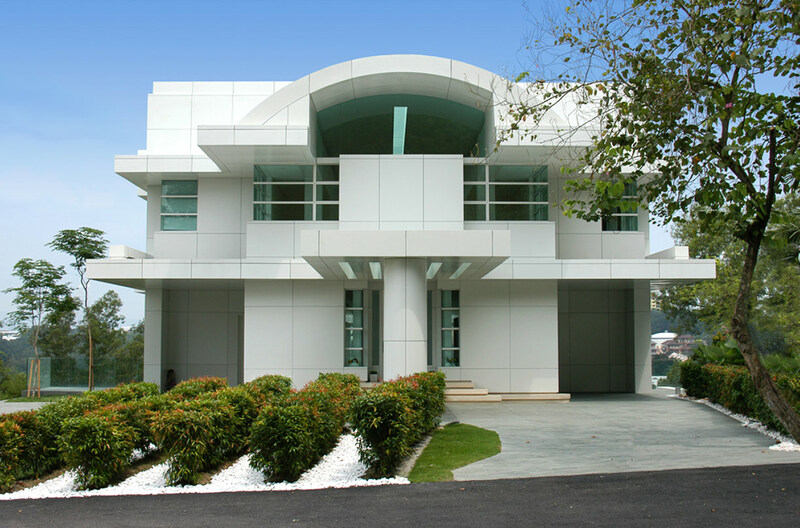 Projecting eaves and pergolas protect the residence from the heat of the Malaysian sun and create a weightless quality of flight with dominant repetitive horizontals. 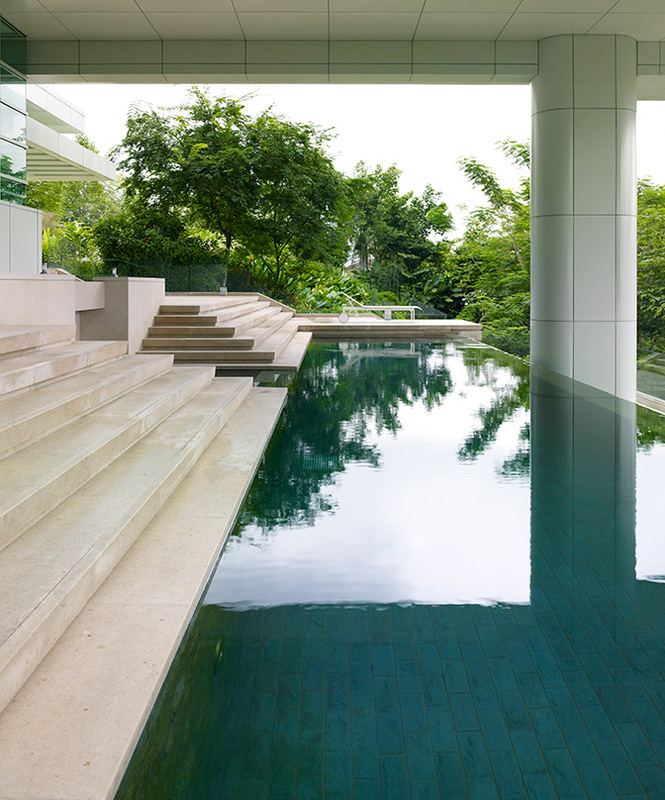 Sliding walls of glass and abundant natural ventilation integrate outdoors and indoors in this comfortable, energy-efficient tropical home.